For those trying to understand Joseph Smith on his own terms, no amount of reading in the growing literature on Mormon history will every replace a direct appeal to the documents he and his associates produced. Through such records, students of history are able to watch events unfold through the eyes of contemporary witnesses, and feel the ebb and flow of people's everyday lives in ways that broader narratives and thematic studies largely miss. With their cancellations, misspellings, insertions, and other idiosyncrasies, such documents have the ability to transport careful readers through times and space to the very moment of inscription. 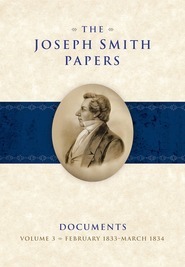 This volume of The Joseph Smith Papers features the first Nauvoo, Illinois, journal of Joseph Smith as well as part of the second, covering the seventeen months from December 1841 through April 1843. 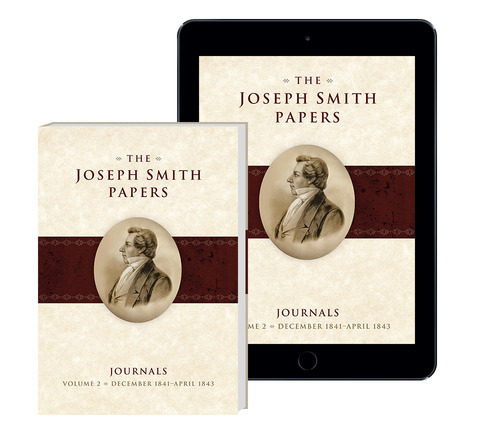 Like the first five of his journals previously published (Journals, Volume 1), these Nauvoo journals close the distance between modern readers and the life, thought, and personality of the Mormon prophet. In addition, the events, teachings, revelations, ordinances, and organizational changes they help document constitute a significant contribution to foundational Latter-day Saint identity, beliefs, and practices. Kept primarily by scribes Willard Richards and William Clayton, these journals chronicle such significant developments as the organization of the Female Relief Society of Nauvoo; proxy baptism for deceased persons; the publication of the Book of Abraham; the construction of the Nauvoo temple; the continued growth of the church and ongoing settlement of Nauvoo; and the maturing of Joseph Smith as a religious and political leader whose influence would extend far beyond the years of his life and the city he founded on the banks of the Mississippi River. The journals also detail the many challenges Joseph Smith faced during this period. Dissenters like John C. Bennett, who misrepresented Smith's teachings about plural marriage, and private developers like Robert D. Foster, whose personal agendas competed with Smith's efforts to build the temple and provide for the poor, caused him no end of trouble. At the same time, Joseph Smith was also accused of masterminding the 6 May 1842 assassination attempt on Lilburn W. Boggs, the former Missouri governor who ordered the removal of the Latter-day Saints from the state in 1838. This led to an attempt by Missouri and Illinois officials to have Smith arrested and extradited to Missouri from trial. Through the exertions of his friends and family Joseph Smith evaded capture until Illinois federal district judge Nathaniel Pope declared the extradition attempt invalid in early January 1843. More pages and entries in Joseph Smith's journal are devoted to aspects of this extradition attempt than to any other single topic. The journals featured here have been transcribed, introduced, and annotated according to the highest standards of documentary editing. 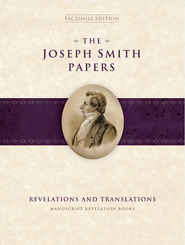 Originally created under the direction of Joseph Smith himself, they constitute an essential primary source for research into the life of the founding prophet of The Church of Jesus Christ of Latter-day Saints during one of the most dynamic periods in the history of the faith. Andrew H. Hedges is an associate professor in the Department of Church History and Doctrine at BYU and an editor for the Joseph Smith Papers. Richard Lloyd Anderson is a research historian and review editor for The Joseph Smith Papers and an emeritus professor of ancient scripture at Brigham Young University.